THE MISSING MOON AND THE MISSING MOONSLEMS. I woke up on Monday and got a call that Tuesday and Wednesday are public holidays, I was sad and then asked my caller why the break, she said that Muslims’ just finished fasting and they would be citing the moon. I asked what my concern there is and did I fast? She laughed and said that is what Nigeria is all about. Then I made few business calls and shifted everything to Thursday, by Thursday, I will definitely be broke so I had to judiciously manage what I have till Thursday. On Monday, I was at Nike Lake hotel and Tuesday I traveled to Porthacourt and came back on Wednesday, now dried and longing for business on Thursday. To my greatest surprise, on Wednesday Night, I got whatsapp alert that the Moon is missing, I was confused at first, I was offline throughout Tuesday and Wednesday, I didn’t actually know what was going on. Then I asked further, they told me that the Moon is missing, I looked up into the sky and I saw no moon, rain was likely going to fall and no hope of moon. I took a deep breath and asked myself are we really going to wait for moon all throughout and what if it didn’t come out? The answer was already coming, ‘Islam is about Moonslems’ the worship of moon or the worship of God, so if moon didn’t come out we all pause? Then again I got BREAKING NEWS!!!!!!!! The whole thing made me lose hope that I will live on Thursday, going with empty stomach and empty pocket, I was going to regret being in this contraption. I am not a Moonslem and I never prepared for this, the moon was going to last for another week and I would still wait for them. Then a rumor had it that Sultan of Sokota called the government of Nigeria to extend the public holidays on ground that he would institute a search for the moon, until the moon is cited, we will continue the break. Why didn’t Sultan deceive us that he has cited the moon, which was my thought? Spiritual Bishops like Jonathan Eze would have seen the moon on Monday but Sultan is only a canal man. What a revered religion, why not allow Biafrans go so you can worship the Moon sufficiently, must I be forced to be here and you place on me that I must observe your moon even though it cost me ulcer or business. 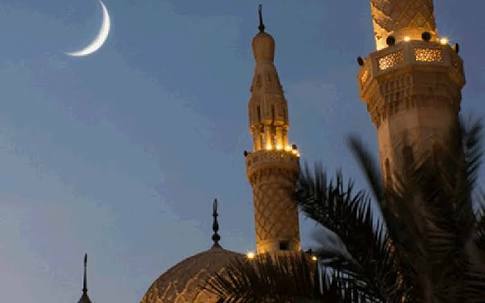 The missing moon is a tender step towards Islamazation, if I can seize my business beyond the lawful period for the sake of Islamic religion, then it is systematic imposition of the religion, God forbid, I rather die than worship the blood sucking god of Boko Haram. I have made it clear that until we sit with crossed legs shouting ALARKUBAR, we will continue thinking that we are in a secular Nigeria. These Moonslems love oil more than their god and that is why they are hell bent on having us as their slaves. The Islamic Nigeria must understand that Biafrans cannot be Islamized and we are going home where moon will not stop our flow, where nobody will be killed or converted by force of arm, we are going home where life is valued and preserved. The moon can go missing from this year to next year. Moonslems can keep waiting for the moon the much they wish but the reality is they must leave us alone because we see the moon as part of creation used in beautifying the night. We see moon simply as the eye of the night and nothing can change that fact. This year will be the last year the moon and Moonslems will starve me or make me broke. I am getting tired of this Islamic Nigeria every day and we really need to go home and allow them cite the moon, the sun and the stars and the rain. They can have freedom of everything they want while we have our freedom. Biafra is the answer to the puzzle and we must come together and restore our nation. Nigeria is a strange land where strange gods are worshipped and as slaves, they systematically force us to worship their god with them. Moonslems have lost their way as they cannot even cite their moon any longer; they have lost their essence as the moon refused to meet them. They have sinned and no longer merit the moon. As it stands, I did not see any moon on Thursday and telling me you saw a moon is the self deceit that have championed everything Moonslems are.